A.K. 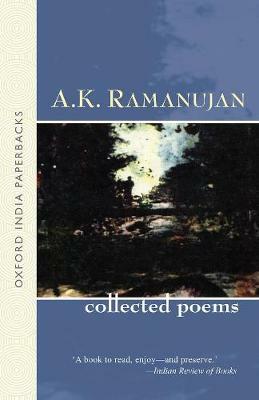 Ramanujan (1929-1993) was, arguably, modern India's finest English-language poet. This volume of his "Collected Poems" includes poems out of the three books he published during his lifetime, and a fourth collection never published before. It is intended for: readers of Indian poetry in English, scholars of Commonwealth literature, departments of English and comparative literature.